A pick & place unit that sets standards: the PARO-Blitz performs up to 60 cycles per minute and moves loads up to 1 kg in weight. 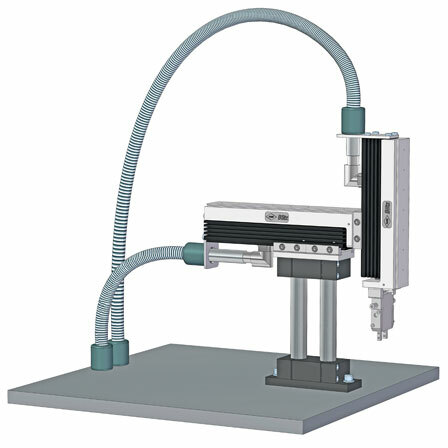 Unlike conventional pick & place units, the PARO­-Blitz is freely programmable and can handle a wide range of movements – ideal for flexible assembly processes. The PARO-­Blitz’s compact linear motors are more energy-efficient than pneumatic systems and also save space.